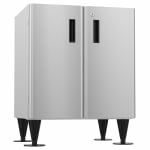 The Hoshizaki SD-500 equipment stand is made to hold the DCM-300 and DCM-500 cubelet ice maker and water dispenser units. 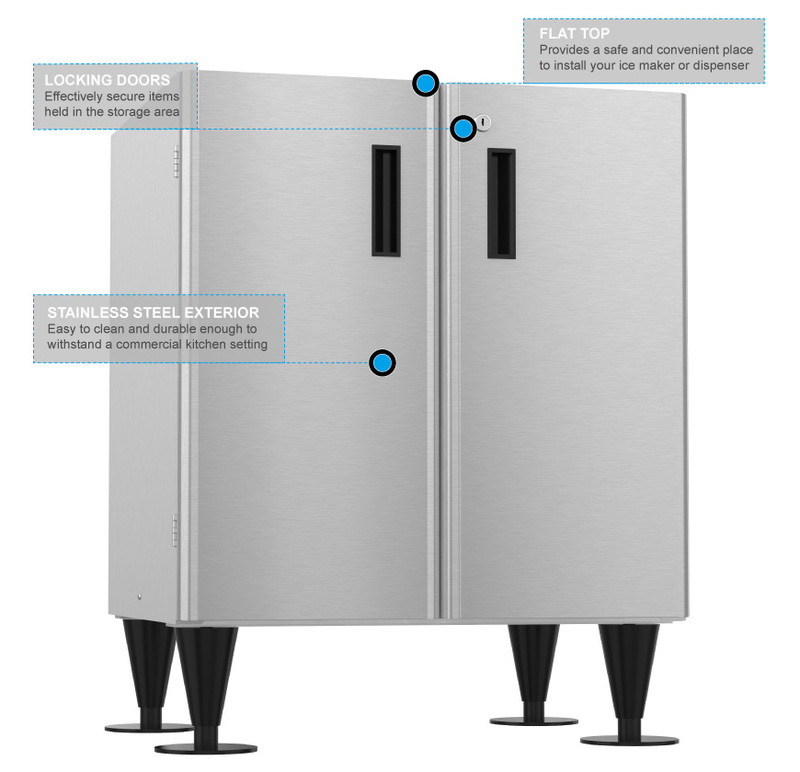 Supplies and tools can be stored in the cabinet base, which can be locked to prevent theft. Its heavy-duty construction is designed for long-lasting use in commercial establishments. 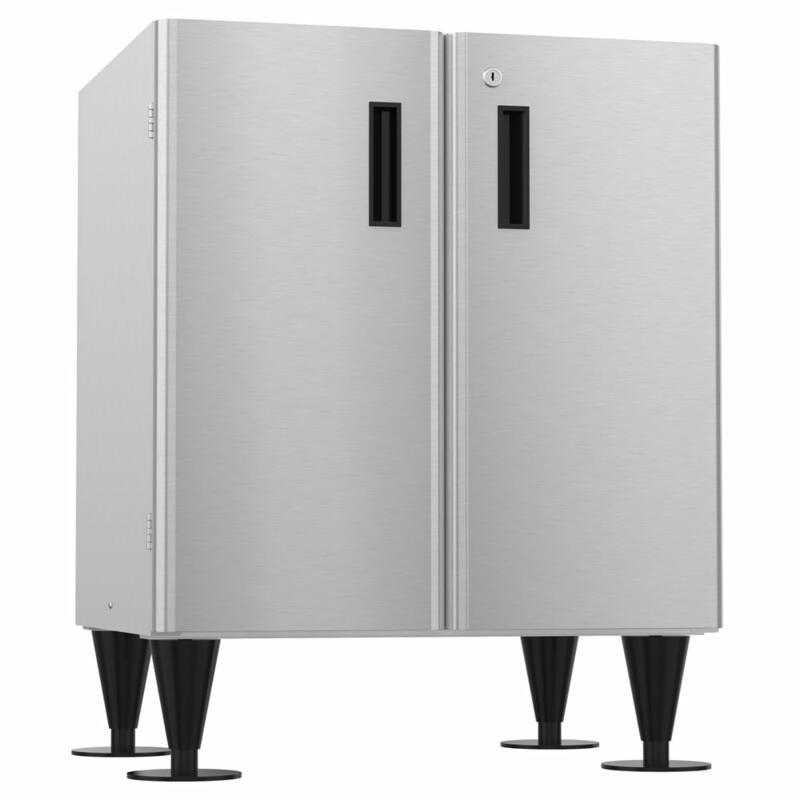 This Hoshizaki SD-500 equipment stand has a stainless steel exterior, providing strength and corrosion resistance.